A lazy search reveals that “sgom grwa” also occurs in the Blue Annals (Roerich translation p. 44) – also in an account of Khri srong lde btsan’s reign. And later again, at the very beginning of Book II (phyi dar). Or did I misunderstand you and it wasn’t the term itself you found strange, but rather its use in this particular context? Are you back home yet? There’s a nice paragraph on the non-returners in the Dungkar dictionary, p. 178. One interesting thing said there is that Samgha, Qubilai’s (Hu-pi-li) interior minister (nang-blon), was one of their descendants. Btw, the late Taktser Rinpoche used to always say that he was a native speaker of Mongolian, but that he spoke Tibetan with an accent. I think you have to read Laird’s account with a grain of salt. It’s entirely possible that the language spoken in the village was a type of Chinese, but I’m quite sure the language spoken inside HH home was Amdo Tibetan (one clue, the children were given Tibetan names, not Chinese). I suspect what’s going on there, not trusting Laird’s understanding, because to say that His parents spoke “broken Chinese” in “my village” doesn’t mean they didn’t know Amdo-ke. They surely did. 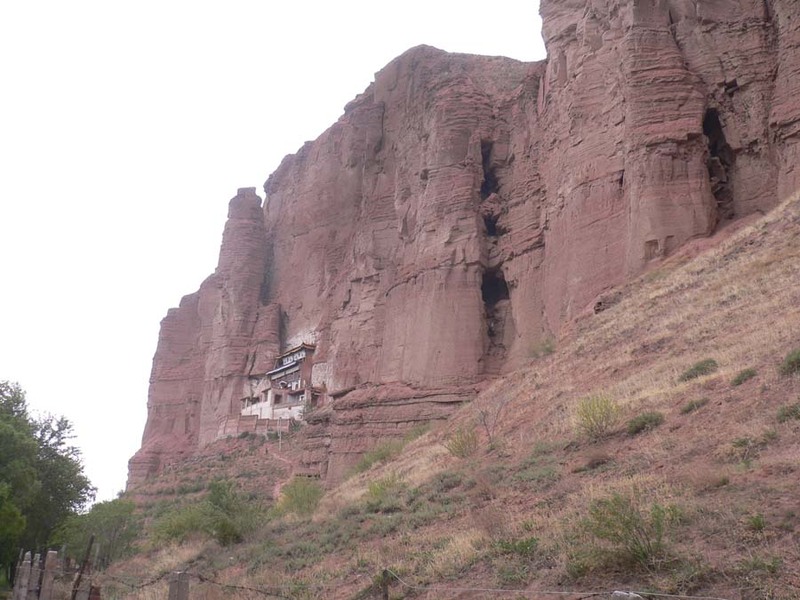 They were tsampa eaters with prayerflags-pillar in front of their house, not Chinese. That the area when He grew up was a culture contact zone with all kinds of interesting things going on in terms of cultures and languages, is certainly true, and I wouldn’t want to sound as if I were denying it. Yes, it was not the term sgom grwa per se, but the fact that the passage tells of the conquest of meditation centres rather than fortresses or even cities. Of course, the dharma histories do tend to focus on religious institutions, so it could just be an example of that. As Dan says, there surely were Buddhist temples in the area at the time. Thanks for the pointer to the Dungkar dictionary – it’s nice to know the identity of the Sangha in question. Chris Vasantkumar. 2009. “Tibet Incidental to Tibetan Studies? Views from Various Margins,” in Contemporary Visions in Tibetan Studies (edited by Brandon Dotson, et al). Chicago: Serindia. About the odd sgom grwa, would’nt that translate vihāra? Rather than gtsug lag khang.Then it becomes clearer why such a humble name (vihāra = pleasant abode?) could later apply to strategic strongholds. See Vikramaśīla, Nalanda, etc. -Sorry my English is still too stiff and/or I am too lazy to elaborate on this. I think it’s a good lead. And I really want to say that I delight on everything you post here. This might be a little too late but I wonder if the word “sgom grwa” is referring to Mosques. Would that be a possibility? I once came across a very tall, well-built Amdo woman from Mangra who said everyone on her father’s side was equally tall and strong. The story went in the family that they were descendants of the 7 families from Dbus gtsang who had been sent to Bka’ ma log by the btsan po to watch over the border, and who had all been selected for their impressive build. Has anybody heard of this before? Yes Francoise, I am a Tibetan from the eastern region. I do not have an exact historical evidence, but oral history has it that Tibetans in the eastern most areas were sent from Dbus gtsang to guard the border. In fact, Linguists argue this more convincingly as they could study the linguistic resemblance of Tibetans in certain areas of Dbus gtsang to Amdo.